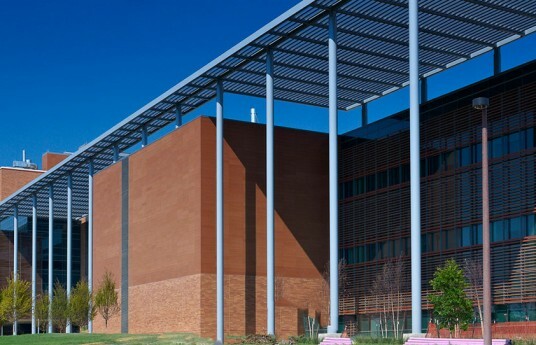 Engineer of Record: Walter P. Moore Assoc. 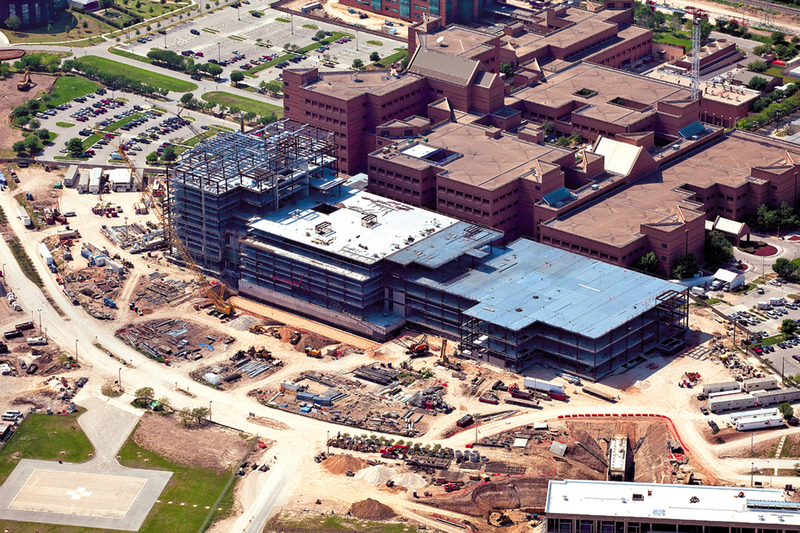 Comments: The San Antonio Military Medical Center (SAMMC) was a beam/column framed hospital addition for the US Army. 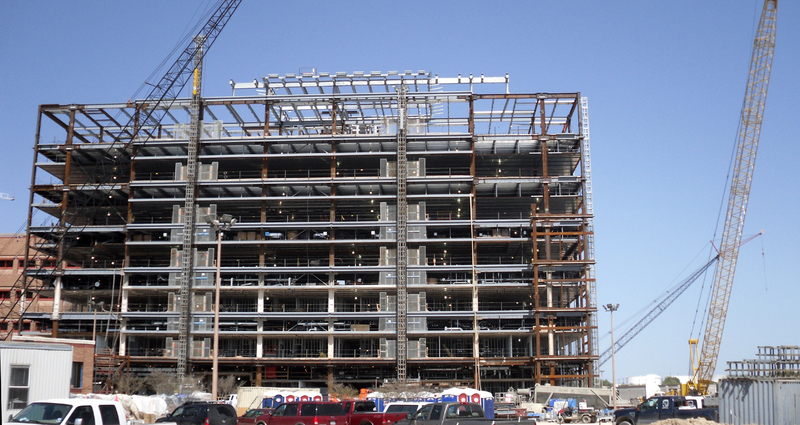 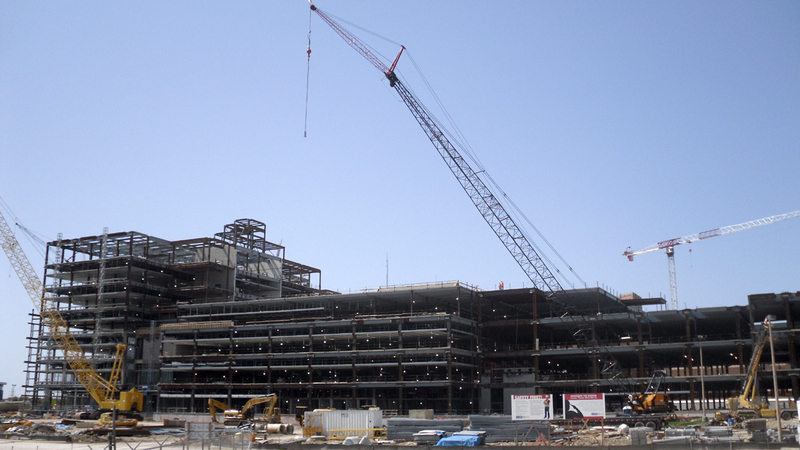 The job had an extremely aggressive erection schedule, calling for a pace of erection 50 percent faster than the typical steel construction project.This was a design-assist project, with Bosworth Steel Erectors as a prime steel subcontractor. 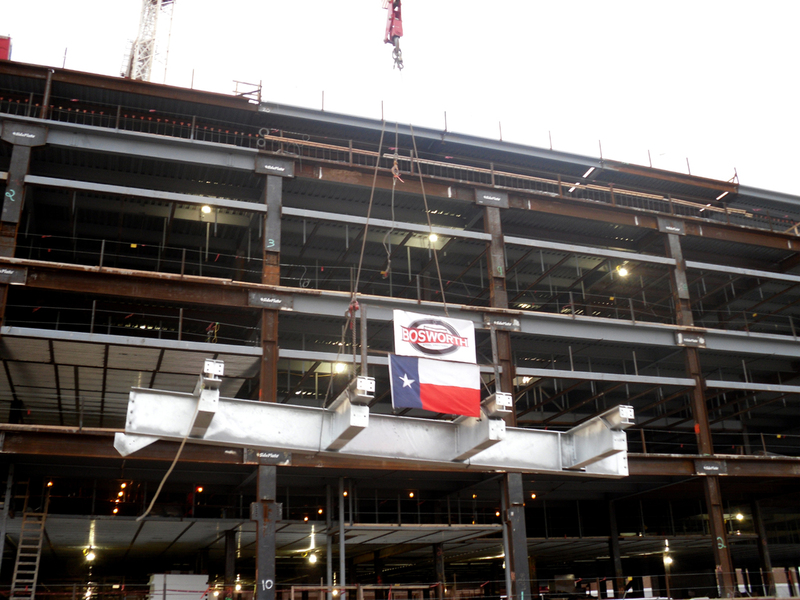 As a federally-funded project, the job had stringent safety requirements.